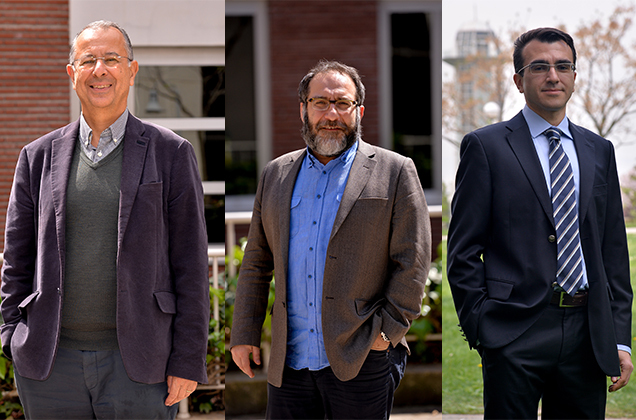 Members of the Faculty of Engineering and Natural Sciences won METU Professor Mustafa Parlar Research and Education Foundation 2018 Awards. As part of the METU Professor Mustafa Parlar Foundation 2017 Awards, Sabancı University Faculty of Engineering and Natural Sciences members Mehmet Ali Alpar, Erhan Budak and Semih Onur Sezer won the Honor Award, the Science Award, and the Research Incentive Prize, respectively. The ceremony for the METU Professor Mustafa N. PARLAR Research and Education Foundation Awards will be held on Wednesday, December 19 at the METU Culture and Conference Center Hall A at 5 pm. Honor Award: The most distinguished award given to individuals who meet the majority of the requirements for both the Science Award and the Service Award. Science Award: An award given to individuals who have made outstanding contributions to science on an international level with their scientific work and research, or have enabled the development of the country with their scientific findings. Research Incentive Prize: Given to young researchers (under the age of 40 as of the prize year) who have helped the development of a scientific field or assisted in the solution of national issues through their research. The METU Professor Mustafa N. Parlar Education and Research Foundation awards prizes every year to recognize the endeavors and certify the competencies of researchers and scientists in all branches of the sciences to encourage their work and motivate younger generations to become involved in science. We commend all faculty members for their achievements. * Please click here for more information about the METU Professor Mustafa Parlar Research and Education Foundation 2018 Awards.